Brett Manges is the creator of eTrumpet Lessons. He has enjoyed playing, performing, and teaching the trumpet for nearly a lifetime. I’m excited to bring you the newest playlist in the Trumpet Listening series. This time, let’s listen to trumpet legend, Miles Davis. Just press the PLAY button and listen as you read just a little more about Miles. Here’s a new component of the e Trumpet Lessons program – Listening to great trumpet music. In this first playlist listen to the mastery of trumpet player, Maurice Andre. Listen to what makes his trumpet sound unique. And while you’re there, why not subscribe to the eTrumpet Lessons YouTube channel! Wait… Trumpet Music Used To Be Illegal? 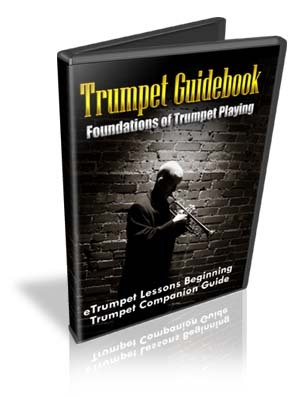 The trumpet Real Book is one of the most common resources for jazz trumpet players, but it’s a great source of trumpet sheet music for players of all abilities. It’s also one I recommend for my students, especially those who are learning to play the trumpet on their own (without a band). The challenge was to select an Irish song, practice it on the trumpet (in about 10 days), and then perform that prepared song for St. Patrick’s Day. Those who joined the Challenge were able to get some specific training on rhythm and phrasing, and the final results were quite musical! Break Free From the Internet!